"Book you next Vacation Now!" The Abruzzo region of central Italy is filled with stunning natural scenery, quaint villages, medieval castles, beautiful cathedrals and monasteries, and ancient Roman ruins. The one thing it doesn't have much of is tourists, but most visitors to the region see that as a positive. 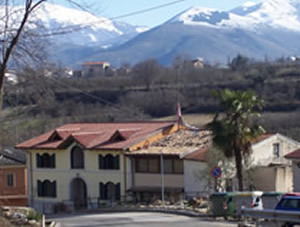 Many of those who find their way off the beaten path to Abruzzo region come in search of an authentic Italian experience and find what they are looking for at a far better price than they would have paid in the busy tourist regions of the country. Last fall, Toni Becker of Red Deer and Allan Fisher of Sylvan Lake travelled to the Abruzzo region of Italy after reading about it in a newspaper travel article. "We liked the idea of travelling to a less-travelled region of Italy and we also liked the idea of saving money," explained Becker. 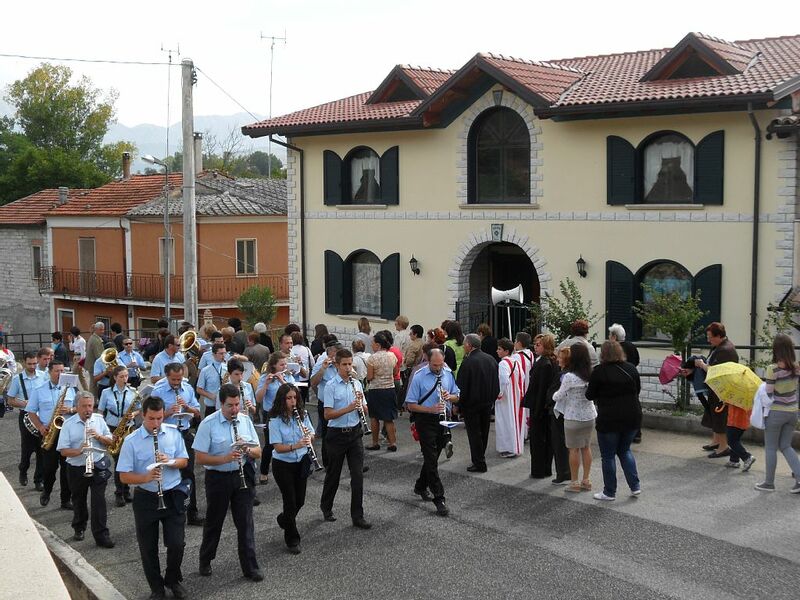 The villa the pair rented was recently built in the tiny village of Campo di Fano by a Calgarian named Mike Giammarco, who had been born in Italy and immigrated to Canada with his family at the age of nine. Giammarco recently returned to the Italian village where he had been born and purchased the abandoned house that had been built by his great-great-grandfather in 1885. He then spent close to $1 million to transform the homestead into eight self-contained one-bedroom apartments that he now calls GiaMia Villas. Becker and Fisher found the apartments to be incredibly comfortable and their host Mike went out of his way to try to help them have an authentic Italian experience. “We asked Mike to provision the condo for us and the cupboards were fully stocked upon our arrival — complete with a five-litre jug of red wine,” said Fisher. “He introduced us to his friends and family and invited us to be involved in their activities. In addition to exploring the village on foot, the pair rented a vehicle and explored the countryside and some of the nearby towns and villages. “We didn’t have a plan or a schedule, we just got in the car and drove around until we stumbled across an interesting spot,” explained Fisher. As they explored the towns and villages of this region, they stumbled across many historic sites. “If you like history, there is nothing to compare with central Italy,” said Becker. “Pacentro was one of our favourite villages as it is just a few kilometres from Sulmona and has an imposing ancient castle and three 13th century square towers. Visiting the national parks was also a treat as the parks were plentiful and they wound their way through many beautiful landscapes. One of their expeditions took them to a place called Navelli, where they hoped to take part in the saffron harvest, but arrived a week too early to do so. “Saffron is one of the most expensive spices in the world, because of the delicate nature of the harvest, which must all be done by hand,” explained Becker. “Each crocus produces three stigmas and it takes about 14,000 stigmas to produce one ounce of saffron threads. Navelli produces some of the finest saffron in the world.” A 45-minute daytrip to Pescara was yet another enjoyable adventure. They travelled through the mountains and hills to reach the beautiful Adriatic Sea with its brilliant blue waters and white sandy beaches. 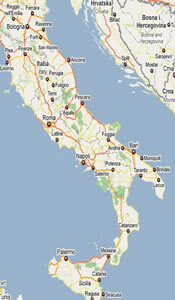 “Pescara is home to a university and a large marina,” said Fisher. There were many adventures as they explored on their own and the relaxing pace of the trip left them well rested for their journey back to Canada. “We took back with us our memories of new Italian friends, wonderful food and wine, great adventures, cultural and historic education and at least 1,200 pictures,” said Becker. 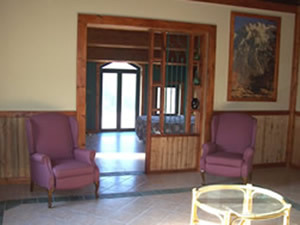 • Rental rates for a one-bedroom unit with a kitchen and a patio at GiaMia Villas start at Cdn$450 Canadian per week depending on the season of travel. • Reduced rates are available for longer stays. 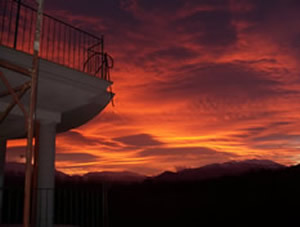 For more information on the villas or for reservations, visit www.giamia.com. • You can get to Campo di Fano by flying into Rome and then taking a three-hour train ride from Rome to the city of Sulmona. 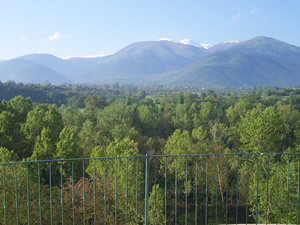 From Sulmona, you can catch a taxi to the villas at Campo di Fano or rent a car and drive there. A rental car is highly recommended for exploring this rural area of Italy. 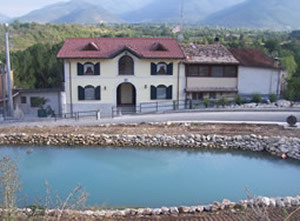 • Many daytrips are possible from the village of Campo di Fano. The city of Sulmona is five minutes away, Abruzzo’s national parks are a 30-minute drive, the white sandy beaches of Pescara are 45 minutes away, Rome is three hours away, Naples is two hours away and Pompeii is two-and-a-half hours away. Debbie Olsen is a Lacombe-based freelance writer. DOGO@telusplanet.net or write to: Debbie Olsen, c/o Red Deer Advocate, 2950 Bremner Ave., Red Deer, Alta., T4R 1M9. It's been a long and winding road back home to a tiny rural village in central Italy for Calgarian Michael Giammarco. It's a road he hopes travellers will want to take, too. Giammarco's journey began decades after he first left his birthplace in 1958 at the age of nine with his family when they moved to Calgary. The family had been living in his great-great-grandfather's home and the place where Giammarco was born, in Campo di Fano, a small village in central Italy. When he returned four decades later, he found an abandoned and dilapidated place with the roof caving in, and he felt compelled to buy it. "I had childhood memories . . . old friends I grew up with . . . swimming in the river." To complete the purchase, Giammarco had to navigate the tangled bureaucracy of Italian land titles. Since his family had abandoned the house (actually five attached houses), there had been 21 subsequent owners. Under Italian law, he had to contact each one of those owners -- some of them third and fourth cousins -- to gain clear title. Although the process took four years, Giammarco says without this step, previous owners could potentially reclaim the property within 10 years. "I had to give them 600 euros each (about $1,000 at the time) to clear title," he says from Italy, where he is spending the summer. Over the past three years, Giammarco spent close to $1 million to transform the homestead into what he now calls Giamia Villas -- eight self-contained one-bedroom apartments. 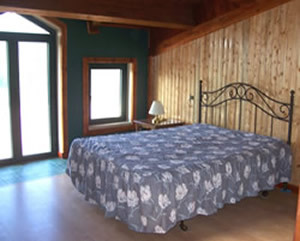 Much of the material used in the renovation and furniture was shipped from Canada, because the cost of such items in Italy is exorbitant. The pale yellow tiled roof villa is in a lush valley, where visitors can see the local farmers working in their fields, some harvesting the village's prized red garlic, coveted by high-end restaurants in cities like Rome. The villas, in the L'Aquila province in the Abruzzo region, sound like a convenient jumping-off point for exploring the central region. It's "Tuscany at one-third the price," says Giammarco, but enhanced with a rich cultural history. Many day trips can be made from there: Rome is 1.5 hours away; Napoli or Pompeii, two hours away, the beachside town of Pescara, 45 minutes away and Abruzzi's national parks, 30 minutes away. If Giammarco had the day to himself, he'd opt for Pescara and its white sandy beaches on the Adriatic Sea. Sulmona -- "the City of Arts" -- is just five kilometres away, boasting family-owned restaurants and mercatos. Giammarco, who works as a property manager in Calgary, also bought an additional 25 hectares around the house, which he's landscaped and added rows of artichokes, figs, persimmons and hazelnuts. When people come, he wants to give them a true regional experience, helping visitors meet the locals. He's keen to introduce his guests to market vendors, so they can buy whatever they need to cook up a meal back at their rented apartment. If the timing is right, Giammarco says he'd be happy to organize a day of picking grapes or olives in some of the neighbouring fields. "It's a homey atmosphere that we've created." 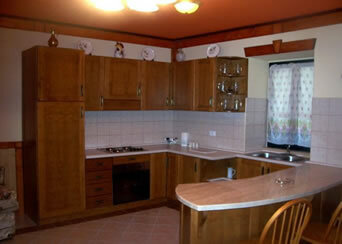 Giamia apartments can be rented by the week, or for a month or more. Depending on the season and length of rental, prices start around $425 Cdn a week. 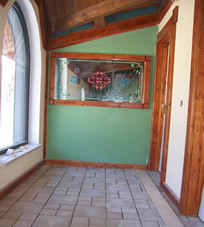 For details, rates and more photos, go to www.giamia.com.